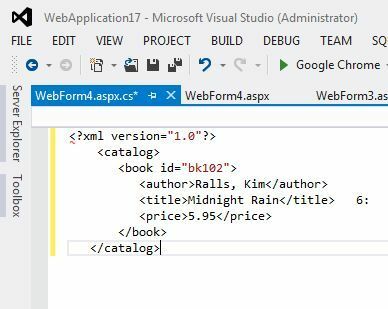 In the Visual Studio 2012 IDE, a new feature is introduce to convert XML document into C# classes as a Serializable type. 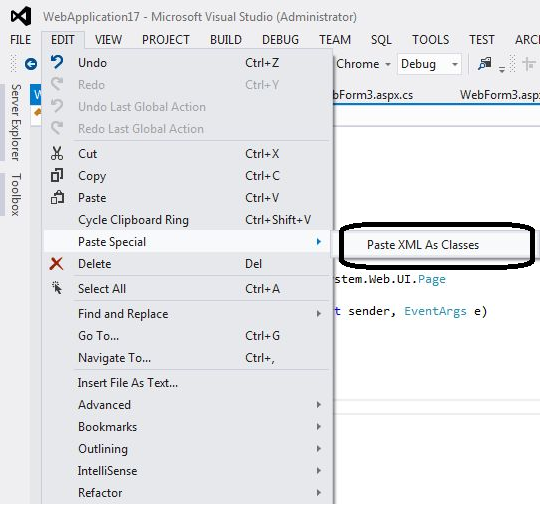 In the .NET framework 4.5 there is another Paste Special option is exists in the Edit menu which enables you to copy the XML as C# Classes. Suppose you have following XML File. And when you paste the above XML using Paste XML as classes. It will looks like that. The previous tutorial focused on deserialising simple JSON objects. This tutorial describes the process of deserialising a more complex object using JSON#. Notice that we have 2 collections. A simple collection of Doubles, and a more complex collection of ComplexArrayObjects. Let’s start with those. 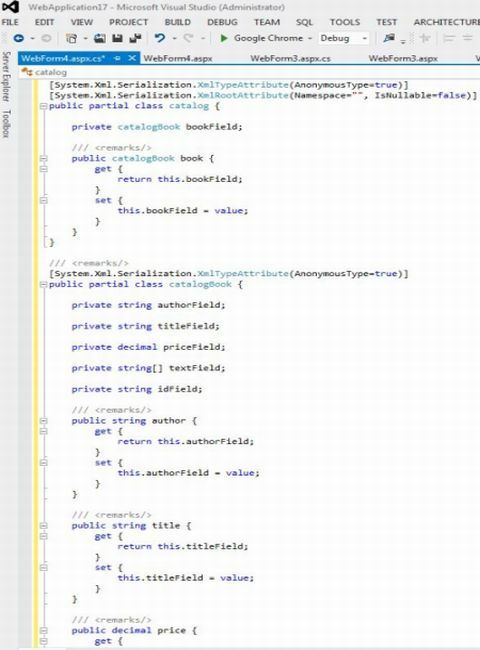 First, create a new class, ComplexObjectDeserialiser, and implement the required constructor and Deserialise method. Remember this method from the previous tutorial?